Published on July 13, 2016. Click here to read the latest on the Guardians of the Flemington Road Gum facebook page. 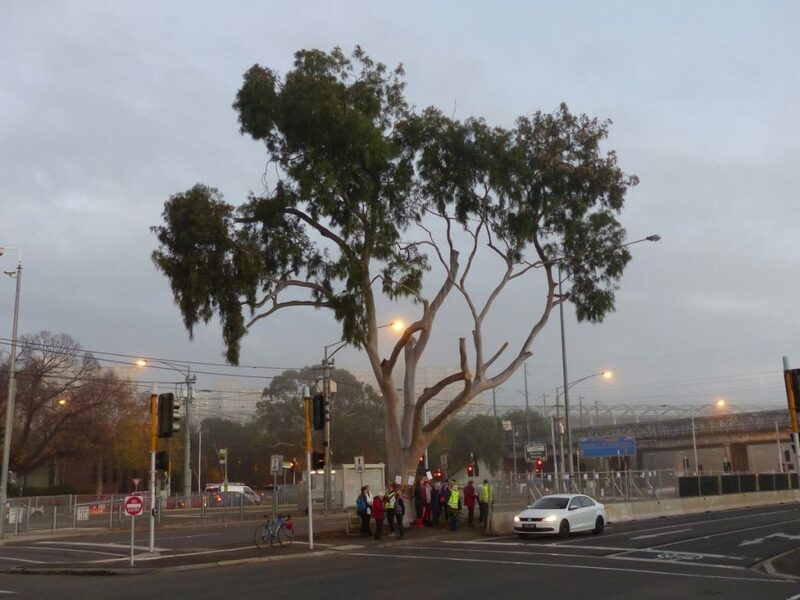 Today, a big pile of construction fencing was dropped off next to the Flemington Road gum tree. Locals are now taking turns to sit out in the cold under the tree’s branches all night. They would love company and will be happy to see any visitors, so please consider dropping by to saying hello on your way home from work or after dinner. We fear it’s possible the tree could be gone by morning. 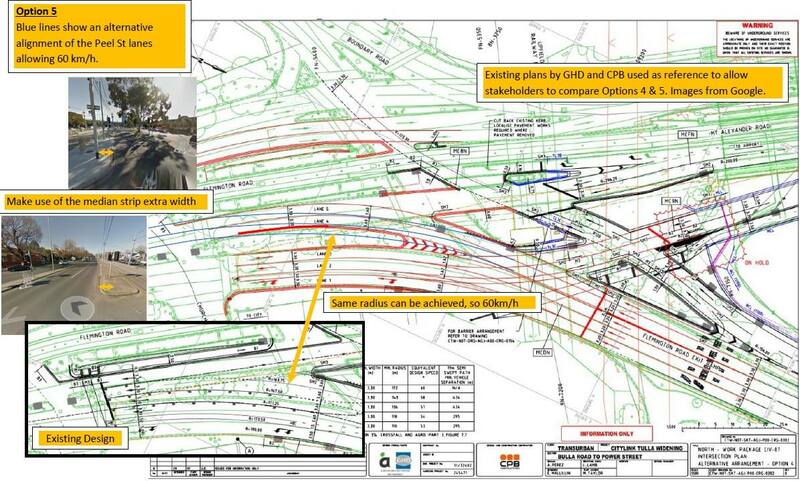 Were works to go ahead tonight, it would be especially disappointing as locals are currently working with VicRoads engineers on a design that seems to meet all of the requirements from VicRoads and Transurban. Community members (with experience in planning, law, and engineering) have created a plan that keeps both the significant tree and the 60kph speed limit. You can read more about it on the Guardians of the Flemington Road Gum facebook page, which has all the latest info direct from the local community. If you can’t visit the tree tonight, why not leave a message of support for those who are braving the cold? I’m sure they’d be happy to hear from you.